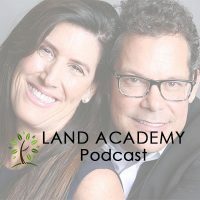 Steven Butala: Welcome to the Land Academy Show. Entertaining land and investment talk. I’m Steven Jack Butala. 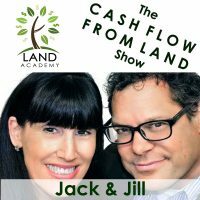 Steven Butala: Today Jill and I talk about why the Shark Tank panel business model works so well. Jill DeWit: I have a lot to say. Jill DeWit: Way too long. Steven Butala: instead of six hours it took us 10. We watched every single episode of Shark Tank that we ever not seen. Did you know that the show started in 2009? Jill DeWit: That’s not that long ago. Steven Butala: It’s almost 10 years ago. Steven Butala: It’s 10 years old. Jill DeWit: I guess so. I guess so. Steven Butala: That’s a lot of episodes. Jill DeWit: And we binged watched most of them. Steven Butala: Yeah. Why does it work so well, do you think? Steven Butala: Why does that show work so well? Or do you think it’s just us? Jill DeWit: I think we love it. I think part of it is. It’s us. You know, it’s like there are shows that you love that I don’t love and visa versa. Jill DeWit: There is something about it. You know what? It’s an entrepreneurial thing. I bet there is plenty people out there that … You know it’s funny? Here’s why I think it works. Because there are two sides of the table. You and I see the investor side and the entrepreneurial side. Those are the seats we want to be in. Steven Butala: We are in. Jill DeWit: We are in. Exactly. And I’m going to talk about that too when we get to the show here but I see us over there and I think the other side is where a lot of people are going, I just want to get my idea. I know that my latest and greatest toaster or whatever it is, if I can get this new toaster/garage door opener in front of the right people, like these guys. I’m going to make some money. Steven Butala: I totally agree. Jill DeWit: So, that’s why I think it’s popular then. Because it covers both sides. Steven Butala: Well said. Before we get into it let’s take a question posted by one of our members on landinvestors.com online community. Jill DeWit: Sunju asks, hi all. I just got the membership a few weeks ago and I’m trying to read and understand everything I can. Jill DeWit: One question that is coming to mind is in Land Academy 1.0, the cash flow from land program. The focus is on rural vacant land. Whereas Land Academy 2.0 focuses on infill lots. I understand that by doing both you’re mitigating risks through diversification. Are there other advantages to doing infill lots? Thanks in advance. Jill DeWit: Well, I got two. Jill DeWit: Number one, infill lots, the transactions are usually, there is more money involved. It automatically pushes you into an area where you’re probably not going to buy an infill lot for $500. You might but a lot of them are higher dollar amounts if you’re hitting the right areas. Jill DeWit: And then my second thing is you’re not closing the deal. That’s one of the things we really talk about in 2.0 is looking for and seeking out those bigger dollar infill lot transactions where it’s a paved subdivision. You’re spending more money and escrow is doing all the work. You’re going through a normal escrow and title and all of that and they do the work for you. And I love it. Steven Butala: Here’s a financial example of each. Jill DeWit: And I could do more that way. Steven Butala: A financial of each. You buy a five acre property in a desert state like Utah, Colorado, Arizona, Eastern, Southeastern California, New Mexico for $1,500 maybe $2,000, $2,500. And you sell it for $8,000 maybe $6,000. You double your money and you do great. It’s a cash in and cash out deal and it happens pretty quick. Steven Butala: Here’s a good example of an infill lot deal. One that we just did. We buy a property for $15,000 in urban Phoenix. That’s very buildable. In fact it has a pad right on it from a house that used to be there. You sell it for $32,000. And you do it immediately. Jill DeWit: And you don’t do the work. Steven Butala: You do it immediately because there are developers that just love that stuff. And it’s probably worth $50,000 by the way. If you do 10 of those you make $150 to $200,000 a year. Usually on a Sunday. But with rural vacant land you’re only making $1,500 let’s say $2,000 on the deal. You do 10 of those a year, you’re making $20,000. So, both are great and both have their place. Steven Butala: One of the other big benefits too of doing infill lots, 2.0, is that everybody else is doing the work. 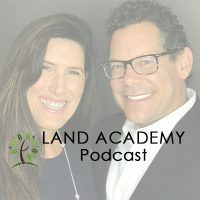 Steven Butala: With rural vacant land you typically do the dead yourself and you close the deal and you organize a notary and there is a little bit more stuff involved and I’m not knocking it because, man, we’ve done almost 20 million dollars worth of equity. We created equity at 20 million dollars of equity at margin. Through rural vacant land so we will continue to do them. Steven Butala: But infill lots, why did we change our tune recently? Why Steve have you spent so much time on rural vacant land and now you’re bringing up this infill lot? Why are you eking it out? Why don’t you just tell us? Steven Butala: Because the tools that became available online, like Realitor.com and Redfin.com that are imperative to succeeding in an urban market were not available until just a couple years ago. Steven Butala: That’s why. It’s, look we weren’t doing infill lot deals until last year really. Steven Butala: And we just released 2.0 a couple weeks ago. Jill DeWit: We did them as one off as they came to us, kind of thing but we weren’t seeking them out and now you’ve been able to, that’s the thing, now, like you just said, you can strategically go after them and know what they’re worth and see the numbers and pick neighborhoods. Jill DeWit: You can line up the builders who want these. Steven Butala: Because data wasn’t available. Jill DeWit: My other thing is that it’s a natural progression. Our group I think we hung out in land because it is easy and it’s profitable and it’s great. And so is our group but we have enough of us now that are like, we’re bored, let’s move on. Jill DeWit: We want to do some better deals and some bigger deals. So, here we all go and that’s why too. Why we’re leading into House Academy and that’s another one that the data is so much better. I can’t even imagine a year from now what that data is going to look like. Steven Butala: It’s just finished. Writing the raw version of House Academy. The raw version of the E-book. Steven Butala: Which will be released probably in a couple of weeks here on houseacadamy.com. If you go there right now, it’s just like, put your information in if you want to get notified. But we’ll release the E-book here soon. Steven Butala: Excuse me. Soon and that’ll tell you what basically what the basic business model is. Steven Butala: And we’ll release House Academy whenever Jill tells us to. Steven Butala: She has a whole schedule in her head that she won’t share with anyone. Jill DeWit: I do. I do. Steven Butala: I stopped making promises on this show a long time ago. Steven Butala: About time frames. Jill DeWit: Because I go and redo them all. Steven Butala: Hey, but good for you. Steven Butala: Who was that Sunju? Steven Butala: Good for you, man. I say all the way through 2.0 you can’t just look at 2.0. you’ve got to go look back at 1.0. You’ve got to look at them both. Steven Butala: It’s a lot to take in. Jill DeWit: Because we’re not duplicating it. That’s true. 2.0 is not a duplicate. Jill DeWit: You need 1.0 to understand 2.0. Steven Butala: And by the way, the last chapter of 2.0 is what to expect from House Academy whenever Jill let’s us release it. Jill DeWit: You said that already. Steven Butala: It annoys me. Jill DeWit: Good. That’s good. It’s about time I had one. I get one. Steven Butala: Do you do it on purpose? Or is there some methodology to it? Jill DeWit: No. There is some methodology to it. I have a strategy. Thank you for listening to my strategy this time. Okay. Steven Butala: Today’s topic, why the Shark Tank panel business model works? This is the meat of the show. Well, yesterday we talked about scalability and actually probably brought up Shark Tank a couple of times. Steven Butala: Put yourself in their position. They’re sitting there, these five panelist and in front of them are businesses, potential businesses for them to invest in. They already have all the hard work done. They have a source of capital. Believe me, they don’t use their own money at all. They have Wall Street funds and all kinds of stuff. They have a source of capital. They have, in most of their cases, a large staff already running multiple businesses. And not just Shark Tank companies but real companies that they’ve started in the past. Steven Butala: So, for them from a scalability standpoint, adding one more, writing a hundred thousand, three hundred thousand dollar check, which isn’t their money at all, it’s all equity in a fund somewhere and getting, 20, 30 40, 50% of a company that they already know exactly what to do by utilizing their own resources that they already have. Steven Butala: QVC is a great example. Whatever her name is. Steven Butala: She’s the QVC thing. Steven Butala: She just adds another product on QVC and make a bi jillion dollars for the person who designed or did all the hard work on a product. She’s already done all the hard work on the distribution. Everybody wins. Steven Butala: It’s totally scalable for them. It couldn’t be better. Really, really really wealthy people. Billionaires add companies to an existing portfolio and an existing staff of people. Bring that acquisition in and make it work. And they set it up the whole time to be sold. Jill DeWit: I think it’s kind of like us. We and partially what works and I understand what you just said but what’s cool is they only pick the best ones. It’s kind of like us with property. You know, we put all the stuff out there. People come to us and our own deals come to us and we pick the best ones. Only the ones that we want to invest in and roll them into our system. Just like you said. Steven Butala: And get rid of them as fast as we can. Steven Butala: Exactly. We have a whole system in place and a whole staff to do this and the more deals we shove into the pipeline, the better it is. The more money we make and the less stuff we have to do. Steven Butala: It’s a great model for them. It’s a great model for us and the reason, we’re not tooting our own horn here, we have multiple members doing this. Especially from the lending side. Justin Sliva who we partnership deals with will be on the show tomorrow. Actually for the next few shows and we’re going to ask him a lot about that. Steven Butala: Lending is even taking it a step further. We haven’t done this personally yet. Justin has been doing it with our members and we’re going to pick his brain about it. Somebody resources a great transaction. They don’t have the cash or don’t want to spend it. Just like Shark Tank. We bring it to Justin. Give him a piece of the pie. No skin off your nose. You go sell it and you split the margin with him as a private investor. You can do thousands of times more deals than you can with your own money. Steven Butala: And everybody wins. Steven Butala: Just like the people, the contestants on Shark Tank, everybody wins. You can do a 100 products if you align yourself with somebody who can finance it and distribute it. Jill DeWit: I think the only thing you did to do is: a. Get experience. Number one. Two, build your credibility. Be a good person, by the way because if we, that happens sometimes. We come across people that maybe aren’t the best kind of people. So be a good person. Or we’re not doing deals together and then the third thing is, get your team in place because when you’re coming to somebody like us or Justin or whoever it is to get the funding, you don’t want to be a one man show. You want to have your team in place and really crank it up. Steven Butala: Yeah. It goes without saying or maybe it doesn’t. I’ll say it anyway. The deal has to be good. It has to be a good deal. A good piece of property. Steven Butala: And a good quick, fast sell at a great price. Jill DeWit: Thank you. Exactly. And you don’t want to waste somebody’s time with that too, by the way. Don’t come to us like, I think it’s a good deal. I’m going to throw it in front of the panel and then they’re going to tell if it’s a good deal or not and then I’ll know whether to follow through. Don’t waste the time because after three of those, they don’t even want to talk to you anymore. Steven Butala: Really after one. Steven Butala: Then the second thing that it’s imperative to have is, just be a cool person. Jill DeWit: I said be a good person. You just want to make them a fun person. Steven Butala: There is a lot of adjectives that you can describe people with. But all of them I can’t say on the show. Jill DeWit: I’m just having fun. Steven Butala: You need to just be like bearable. I’m going to quote Alice Cooper, he said, I just love this quote. He said, “There is a million guys that I can hire to play guitar for me. There is only very few that I can stand to be on a tour bus for two weeks.” I can’t to even be around them. Jill DeWit: I get it. We get it. Am I the only one that made the cut? Jill DeWit: Talk to me. If it weren’t me, who would be your co-host? Steven Butala: I don’t know. We tried that. Remember that? Steven Butala: It was awful. Jill DeWit: I appreciate that. Steven Butala: When we started this show, this is episode 865. Steven Butala: When we started this show, I had guests. Some of them were our members. This was years ago, in 2015 and forever they would not show up. So, Jill would sit in. I’d pull her out of her office and say, we got to do it again. She’s like, great. So, then they started showing up for a while and everybody was emailing me saying, it’s way more fun with Jill. We want to hear Jill. Steven Butala: [inaudible 00:13:06] by the way, Jill has got her own show. Steven Butala: A live show every Wednesday. Jill DeWit: Yep. And it’s growing into other shows. Jill DeWit: So there is more coming. Steven Butala: Way more popular than this show. This show is episode 865 with six listeners. Her show is episode seven. Steven Butala: With 6,000 listeners. Jill DeWit: Oh, yeah. Thank you. That’s awesome. What until you hear the new show that is going to be great. Steven Butala: It’s prompted Jill to do a, what I think is going to turn out to be helping women show. Helping women in business show. Steven Butala: Which I think is awesome. Jill DeWit: It’s going to be awesome. Steven Butala: Well, you’ve done it again. It’s been another 15 minutes or so listening and watching the Land Academy Show. 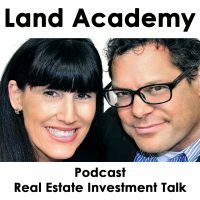 Join us next time when we discuss how to buy and sell land. With Justin Sliva. Jill DeWit: Yeah. And we answer your questions posted on our online community at landinvestors.com. It’s free. Jill DeWit: I’m excited for Justin the next three days. Jill DeWit: You guys are going to have fun. Steven Butala: Me too. It’s another set of eyes, so to speak. It’s just a whole new, he’s been with us for a long time. He’s got a great story. Steven Butala: He bought the program for his wife. Jill DeWit: Yeah. You got to be sure and ask about that. Steven Butala: And she’s only a part of this. His wife is like, that’s fantastic. Good for you. Jill DeWit: Yeah. There were parts that she liked and parts she didn’t like so when it came time for that. They looked at it and thought about it and he’ll tell you about him taking over. She’s like, here. Steven Butala: What are the parts? Do you know or should I ask him? Jill DeWit: You know what’s funny, I want to say that Jessica didn’t like the talking on the phone part. Jill DeWit: Right. And so I think that was it but Justin will share that more with you. Does he know there is video involved? By the way. Jill DeWit: Oh, this is going to be awesome. I can’t wait. Steven Butala: Well, he must know. Jill DeWit: I hope so. Steven Butala: Because he watches the show. Jill DeWit: Does he know he’s going to be on video? This will be good. Jill DeWit: I can’t wait to see you two cuddle up like we are in this studio. It’s going to be awesome. Steven Butala: I’m going to be off the screen. Steven Butala: That’s really yucky, Jill. Jill DeWit: That is so funny. Hey. Wherever you’re watching and listening, please rate us there. We are Steve and Jill.